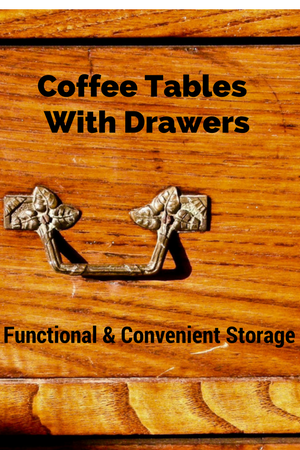 Coffee tables that have built in drawers can be a lifesaver when it comes to storing things away. I have found that by having a handy place to store remotes, magazines, coasters or whatever other stuff happens to finds its way on top of my coffee table I’m less likely to lose said stuff when I go looking for it. Keeping everything handy is an added plus. These coffee tables all have their own unique style but still manage to be functional and a convenient way to store things.